When neuroscience began to discover more about the brain’s remarkable ability to change, it opened up new ways of thinking about our work with patients. By harnessing the power of neuroplasticity, we can help patients think more clearly, learn more easily, develop greater focus, and manage reactive emotions. And that can help them find new ways to respond to a wide range of conditions including brain injury, stroke, learning disabilities, traumatic experiences, depression, and anxiety. But neuroplasticity involves a number of complex processes, and it can be a difficult concept to convey to patients. Want to teach your clients about neuroplasticity? Give them this: @RuthBuczynski Click To Tweet So we created this as a way for you to help patients understand how neuroplasticity works. Because if the brain can change, your patients’ lives can change. Now we'd like to hear from you. How could you use this in your work with patients? Please leave a comment below. I have been using a neuroplasticity app on my phone for Complex Regional Pain Syndrome (CRPS) in my leg which came with a fracture and subsequent infection from surgery to stabilise the broken Fibula. It has helped me greatly at little cost. My app is called Recognise Foot available on Google Play Store. There are others for different parts of the body. Try it. I have also used it with clients/patients with success. I have been using a neuroplasticity app on my phone for Complex Regional Pain Syndrome (CRPS) in my leg which came with a fracture and subsequent infection from surgery to stabilise the broken Fibula. It has helped me greatly at little cost. My app is called Recognise Foot available on Google Play Store. There are others for different parts of the body. Try it. This is brilliant, thank you so much. I think it will help inspire people of all ages, for example youngsters who are struggling, as I think of my daughters age group, but also I imagine using it as a handout for clients at the start of therapy; cognitive analytic therapy (CAT) identifies how early relational experience becomes repetitive via patterns enacted in adulthood. This will help people to see there is a way forward when their sense might be that it’s just ‘how I am’. Thank you so much for this resource; would like to share it with ECE providers. Any chance you have it translated into Spanish or other languages? I am a therapeutic yoga teacher who delivers an overcome anxiety clinic. Lots of education in the sessions, including how we can use the brain’s ability to create new neural pathways to help overcome anxiety. Your infographic is a great resource to share with participants. Thank you. Love your work. Thanks for your generosity. These tools help me a lot in my work as a Jungien Psychanalyst. This is an amazingly informative infographic! As a researcher in the field of neurofeedback, this will be really helpful as I explain to clients how our brain training can foster a healthier brain! Extremely informative: a good insight into the understanding of how the brain works and the resulting effects on neuroplasticity on the individual. What does”pay attention”refer to ? Can you give an example?Thank you. Thanks for this! I often tell patients and clients about neuroplasticity because it creates a sense of hope and can provide motivation for them to actively participate in their own healing. This is a great visual to reinforce what I am teaching them. I remember how I felt when I first learned it!!! Our brain generate new neurons every day. It gave to me another new world when I learned this. like, new things happens every day, things can change, many things are possible! Synapses can also become weak, if connections in the brain are not used…. If it is related to quit smoke? Firstly ,I want to use these ideas to myself. Like building a new habit (like, read one page in this website and think as much as possible, one day one page.) Second, it changes my view of life. It make me believe life can be changed. And new things can happy. We can have different experience. That’s amazing. Third, it encourages me think of life in a positive way. No one can be defined by trauma. We can learn , grow up from trauma! So it is the way I can respect my client, a way with hope. Fourth, it shows me how I can affect the client. I think this will give the client hope, encourage them to try, and make their life under control! For a case, like how the mum teach a child, a right teaching method once used by the mum, a good, happy relationship will be built, so is the things in their brain. That’s all I learn today.I still have too much to share or in my heart(that I want to express). Thanks to all the workers here. You do help me a lot!! mum and baby ,the relationship will affect the neurons of the baby. an order to our body. A Neural circuit formed. Since neuroplasticity is possible , new experience will change the Neural circuit,so we will have a body reaction. really!I am so excited when I read this page! It tells me good news—Things can change! Hope! Also we can see, good personal relationship, good feelings (when you take a walk outside), learning new things, and proper diet(food we eat related to our energy balance), do some exercise(like running), ,especially new experiences can also change our life! It can even save one’s life! I would like to introduce all of these things to my clients,and I need to learn more. I may advise my clients in some ways like above. and tell him or her that, because of the neuroplasticity, if you chose to do exercise or take photos enjoying peaceful and pleasure inside, you will have good new feelings,that will stored in your brain and change your mind and more ways you will find. It reminds me that, if one was hurt in interpersonal relationships, esp. from intimate relationship, a new relationship should be built between the person and the clinician,which includes safety, relax, care, warmth and love. That will build a quite different way for the client , to feel or think differently. It works because it depends on neuroplasticity. I like this part very much…! or I can tell the client, like,”Your brain has the ability to learn new things. and your body have the instincts to heal from trauma,from Peter A. Lavine. Your brain has a system to restore and address memories(information)”—It sounds like we can introduce ….how we can recover in the way of brain(neuroplasticity and the powerful system), body , and …other ways. I am a student of Metaphysical Science and I am beginning my work on my Master’s/Doctoral thesis and dissertation. Specifically I want to prove my theory that neuroplasticity, with the help of metaphysical teachings and understands, can help people fully recover from addiction. I noticed on the above flyer that addiction was mentioned and I wanted to request any further information or research that you may know of to assist me in “re-creating” our rehab programs to bring these lovely people back to a state of health and wellness. Any help would be greatly appreciated! By Metaphysical Science do you mean Metaphysics? What are your methods? Perhaps if you re more explicit of what you do we can help you better. Very grateful. This certainly will make sense to many patients. Thanks again. Thanks again! You are much appreciated!!! Thank you! Neuroplasticity in the brain is an amazing and exciting discovery! As a Physical Therapist, most of my clients have chronic pain issues, and we know that the more they know how the nervous system can and does change, the more they can work with it. Each tool I can use to help them understand, gives them more ways that they can connect with the information. Every client I see is taught about neuroplasticity. I love teaching in the community about resilience, neuroplasticity, and mental health. What a great, clear explanation to pass on to the community. Thank you. Excellent graphic! Will prove very useful as a physical and visual reference to verbal information. This handout will validate the verbal information provided to the client regarding rain-changing activities. We know so much more now than when I was in graduate school and realized that I was experiencing math anxiety. At the time I discovered brain changing exercises to enable me to make an A in my statistics class and a 100 on the statistics portion of my licensing examination. That personal achievement has been useful throughout my years as a therapist. This is a brilliant and very clear summary which provides visual support for any explanations. thank you Ruth for developing resources of such high standard. Jacquie Wise Australia. Thank you — it’s beautifully encapsulated the tomes about neuroplastiicity. Very helpful! This is a wonderful summary of neuro-psychological processes. I can easily use it with clients in counselling and when offering reassessment recommendations. Thank you! An excellent graphic presentation for use in psycho-educational sessions. 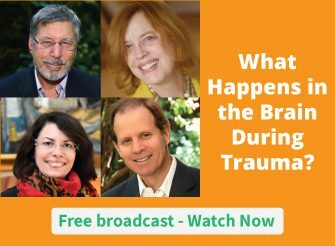 The topic of neuroplasticity and the brain is an important one when I am working with my clients with trauma, depression, anxiety … To share there is hope in developing new neural networks for healing and health is such a gift to clients. This is a great visua to explain to my clients in more detail about neuroplasticity is … thank you! Thank you! I’m going to be using this next week. This is great! Thank you so much for all the wonderful resources from NICABM over the years. Because of NICABM, I am a more informed therapist. Wonderful infographics, may i add two small suggestions, to change “diet” for “nutrition” and “new experiences” (OK) as with a time-frame > new positive experiences/per weekend or per month or per year, especially as i work with adolescentes/Young and traumatized clients and when neuro plasticity is so importante! I will be delighted to use this as back-up to what I’ve been teaching in Brain Gym(R). These charts will make it just a little bit clearer for them. Thanks again for all you share. Everything you put out is very helpful. Just can’t keep up with it! Thank you. Clear, concise and informative (hope-inducing even). We will use this as part of our 8-week couple’s communication workshop here on Maui, as well as-needed when coaching dialogue skills and practice. With every thought, your dynamic brain reorganizes itself in structure, connections and function. Thoughts change your cells and your cells change your thoughts. Your very perception can enhance or interfere with your cell activity, performance, happiness and wellness. In this moment, billions of embryonic stem cells repair and/or replace your tissue and organs creating five to ten thousand new cells a day! This explains how you recover from stroke, injury and physical.anomalies. New cells and new connections are created as you learn and remember. Old cells and their connections are weakened and may fade away when not called upon. Most interesting your excerpt of your new book “Thrive”! Thanks for sharing it! I completely agree with Rebecca’s comments and I am a psychiatrist. Ruth and her collaborators are outstanding for addressing new ways to help mentally ill patients and to prevent mental illness mostly based on neuroplasticity and not on DSM diagnoses only. Neuroplasticity is not yes integrated in our medical and psychiatric practice. We are still mostly working on the neurotransmitters (and cognitive distortions at times with CBT) according to our diagnoses without addressing the environmental and brain connecting issues. Too often people spend their energy in becoming more and more depressed and anxious rather than in constructing connections, all type of energizing connections for the brain to be working for them. I like the comment in the dark side that the brain is neutral : “it doesn’t know the difference between good and bad”. Up to us to be aware of this fact: the thoughts I entertained are not neutral. it gives the direction to my emotions and interferes with my connections around me and in my brain synapses. For example, blaming oneself for a problem does not mean one is a responsible person but that one is a guilt ridden person with negative thoughts deepening one’s depressive state. Recognizing mistakes is completely different from staying in a guilty trip. Becoming aware of neuroplasticity brings our attention not so much on symptoms but on how we create and maintain them. It gives us tools to be healthy with or without a disease. Very good to know for a psychiatrist.